I got an email recently from Derek Wentz, who was until a few weeks ago renting a home in the West Bremerton area. After Wentz and his family had moved in early June, his former landlord called him to say that he’d missed quite a sight in what used to be his backyard. The Wentzes moved out June 6 from a Roosevelt Avenue place. 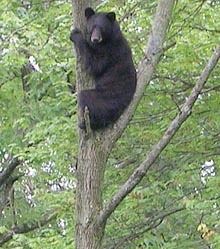 And a 250-pound black bear decided to move in June 7. The bear, which took cover in a cedar tree, was eventually tranquilized and taken away by Kitsap County Animal Control officers. Photo by CBC.ca is from an incident in New Jersey. Two years ago, a Poulsbo woman suffered the worst pit bull dog attack in the area in recent memory. 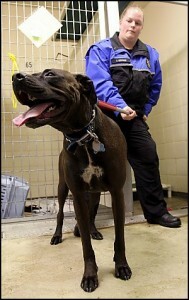 The incident even spurred some changes in the area’s laws, and the pit bull’s boxer-mix’s owner, was charged with a felony. UPDATE: The dog was assumed at the time to be a pit bull. It was only later found to be a boxer-mix, though it was possible to have had some pit bull in its family tree. You’ll have to drive to Tacoma, but that may be well worth it to “…Encourage responsible pit bull ownership, and ultimately lower the euthanasia rates of this breed currently facing an epidemic of homeless,” according to organizers. 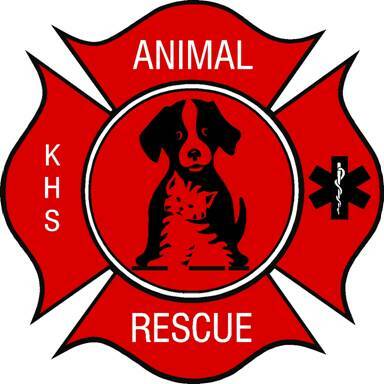 It’s a three part program that includes free spaying and neutering, a free “responsibility” workshop, and free obedience classes. Here’s more from the organization’s release. 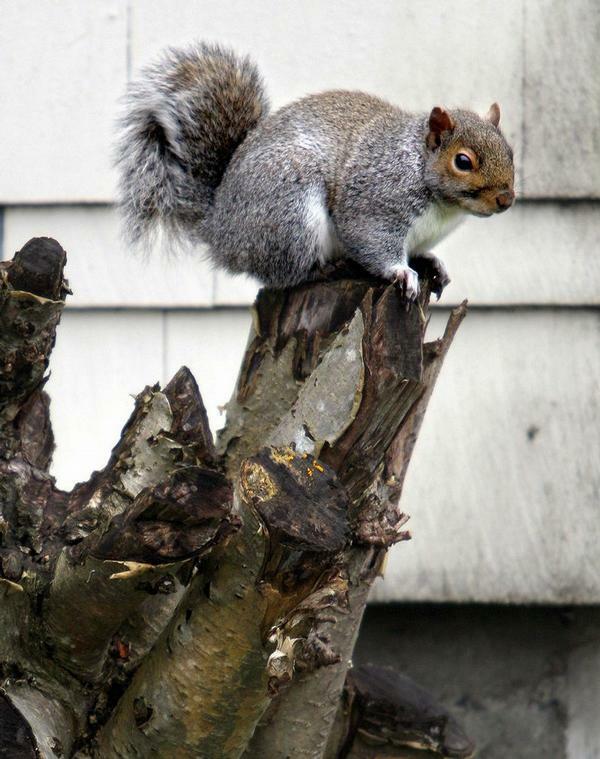 Andy Binion’s squirrel story is certainly the talk of our web site this morning, as the “cute yet verminous” critters (according to one source) are taking Bremerton, and the county, by storm. After reading the story, county resident Robert Leurquin called me this morning with a question about fining folks who feed the not too fastidious creatures. Under whose authority can Kitsap County Animal Control dole out fines for squirrel feeding offenders?